One Punch One Kill! The real “Death Touch”…plus a FREE Lesson! Another 5 Star Review for SDMRE! Very clear explanations and demonstrations at a good delivery pace. Having looked at several self defense courses, this is the most practical and effective I’ve seen for anyone who isn’t trying to dedicate their lives to learning martial arts. Deadly, and hopefully never to be used, it gives a real life look at what self defense is, and what you can do. I highly recommend it. Leif N.
I have signed up over 50 students in the last 11 days alone, don’t be the last to learn this system. The fastest to learn and most effective self defense system in the world! My system has been watched in over 60 different countries and counting! It’s a good realistic system that I know will work. I hope I never have to use it. How do you rotate when they are behind you? Do you just spin around or do you step to the side? If somebody was to stick a knife into your back, wouldn’t the shock stop you reacting in the way you teach? I am thinking that it would make you freeze and therefore be open to further stabs. WARNING!!! This video is violent and involves death. Viewer discretion is advised. In this video I breakdown the Asian Boyz Wah Ching Shooting and the death of gang member “Kicker” shot by “China Dog”. I am going to show you how the gang member, Kicker, could have survived this shootout. For one, he should never have let every one know he had a gun. He ended up getting taken down, having the gun taken away and then murdered by his own gun. I am going to demonstrate how Kicker failed in his attempt to take out the shooter and what he should have done if he knew my B.E.T. 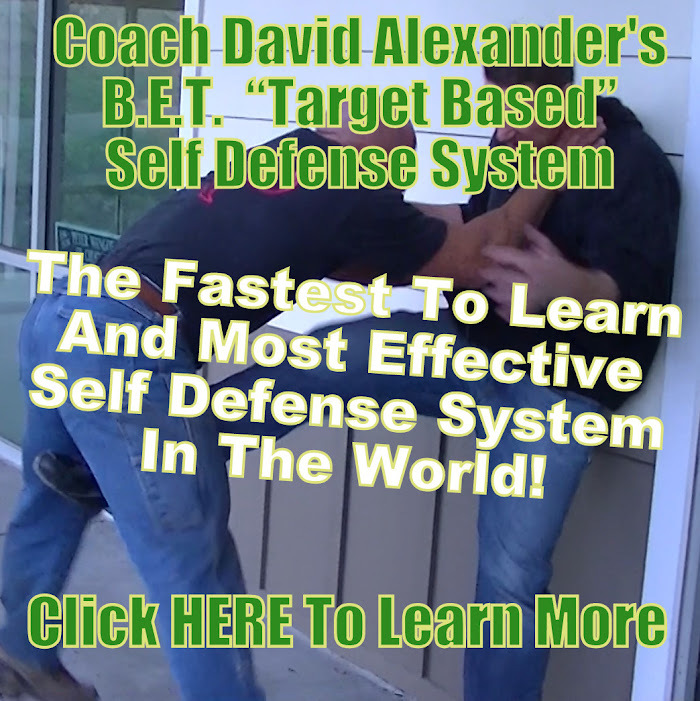 “Target Based” Self Defense System (learn online at http://www.SelfDefenseMadeRealEasy.com). Kicker should never have tried to tackle China Dog. For one Kicker was smaller than China Dog and didn’t commit. My method involves taking out the true weapon of the attacker (the brain) by gouging the shooters eyes out and slamming his head into the concrete. At that point Kicker could have retrieved his own gun in order to defend himself and his friends/gang members. I definitely do not support this gang or even Kicker, I am just using this video as an example of what happens if you don’t know real self defense. Comments? Disclaimer: Don’t ever do what I teach, you will kill someone! This is how simple my Self Defense System is! You don’t have to learn a million techniques to defend yourself from an attack. All you need to know is a target and how to get to the target. That is what my B.E.T. “Target Based” Self Defense System will show you. Check out the online version at SelfDefenseMadeRealEasy.com.